Home \ Blog \ Mortgage \ Should You Spend the Entire Mortgage Pre-Approval Amount When Buying a Home? Should You Spend the Entire Mortgage Pre-Approval Amount When Buying a Home? If you’re considering buying a home in the near future, you’d be well advised to start getting your finances in order and making sure you’ve got the funds needed to make a home purchase. More specifically, you should find out exactly how much of a mortgage you’d be able to get approved for so you focus on properties that you can actually afford. That’s where mortgage pre-approval comes in very handy. By getting a pre-approval letter from a lender, you’ll not only be able to focus on the appropriate price range for homes that are listed for sale, but you’ll also be showing sellers that you’re a serious buyer and have taken the necessary steps to get a deal done. Your mortgage pre-approval will specify the maximum loan amount that you’d be able to get approved for. There would be no sense in agreeing to buy a home that’s well over your budget if you wouldn’t be able to secure financing for it. In a sense, a mortgage pre-approval can help to save you time that would otherwise have been wasted looking at homes that are well above your price range. Why? Spending in the upper range will leave you with little money left over from your income to cover all other expenses related to homeownership, including utilities, home maintenance, property insurance, property taxes, closing costs, and so forth. It will also leave you with fewer funds that could otherwise have been spent on saving for retirement, investing, or even having fun. Applying for a mortgage soon? Make sure to check out our Mortgage Application To-Do List! As a buyer, it’s important that you understand exactly what a mortgage pre-approval is, and what it isn’t. A mortgage pre-approval is a lender’s initial assessment of how much you can afford in a home purchase based on your income and amount of debt you currently have. However, since a pre-approval doesn’t factor in any extra expenses (such as groceries, etc), RESPs for your child’s education, or other financial goals, you could be pre-approved for a higher amount than what you can actually afford. As such, you’d be in a much better financial position if you focus on homes that are well under the maximum amount you’ve been pre-approved for. Ideally, you should not only consider what you’ll be able to afford today in terms of housing costs, but you should also try to forecast how much housing costs will be in the near future and whether or not your current finances would be able to cover them. The thing is, you’d have to make these estimations and calculations on your own because a pre-approval won’t factor in potential future costs of homeownership. It should be noted that a mortgage pre-approval isn’t an actual approval for a home loan. Just because you’ve been pre-approved for a mortgage does not guarantee that you’ll get a final mortgage approval after your offer on a home has been accepted. Only after your offer has been accepted by the seller does the actual mortgage process begin. That said, being pre-approved by a lender generally means that the final mortgage approval process will move along a lot quicker because all the financial documents required have already been submitted and reviewed. Interested in how much it costs to purchase a house in your city? Check out this infographic. Before you are given a mortgage pre-approval letter, your lender will assess your income, assets, and debts. The lender will then be able to determine how much of a loan they would extend to you and the interest rate you would be charged. Generally speaking, the better your credit score and financial history, the lower your interest rate will likely be, which will make your mortgage more affordable and save you a great deal of money over the long run. If you’re self-employed, you’ll also need to submit the last two years’ worth of Notices of Assessment from the CRA. The actual mortgage approval process starts when your offer has been accepted by the seller because your lender will need to know what the value of the property is based on current market conditions, as well as the amount of your down payment. In order for the approval process to be completed, your lender will require the purchase agreement as well as the MLS listing. The value of the property you’ve agreed to purchase will be assessed by an appraiser appointed by the lender to make sure that the price you agreed to pay is on par with what the home is actually worth. The property will also need to be approved by the mortgage insurer (either Canada Mortgage and Housing Corporation, Genworth Canada, or Canada Guaranty) if you are putting less than a 20% down payment. Your income, credit score, and debt, and any other financial information will be re-verified, and the specific type of mortgage product that you’ve decided on will be factored into the equation. 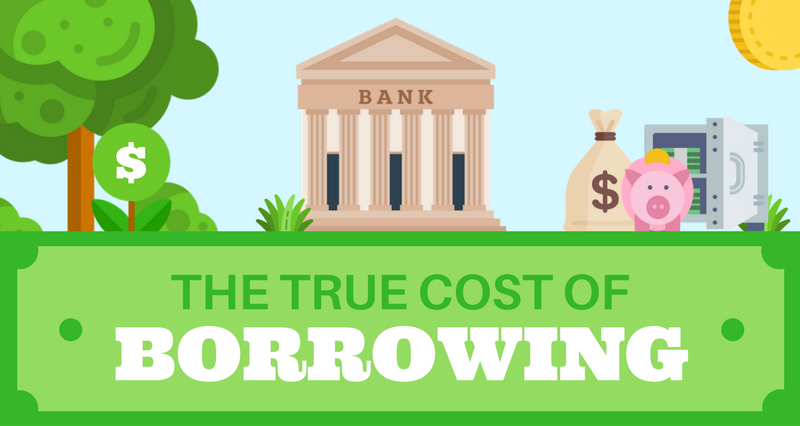 Take a look at this infographic to learn all about the true cost of borrowing. As mentioned earlier, the mortgage approval process can move along faster if you’ve been pre-approved already. If all goes well, the average time for mortgage approval in Canada is anywhere from one week to upwards of three weeks. If there are any snags in the process, approval can take much longer. If there are too many problems encountered by the lender, approval can be denied. Getting a mortgage pre-approval is certainly a great way to start the house hunting process and will give you a better idea of where to starting looking. It will also help you to lock in a mortgage rate, especially if you anticipate the rate to increase in the near future. Sellers will also look favourably on you if you submit an offer with a pre-approval letter in hand. But your mortgage pre-approval is only effective to a point. It does not factor in certain financial obligations that you have aside from your current loans. Understanding how pre-approval can help in the mortgage process and what its limitations are can help maximize the chances of a successful outcome.